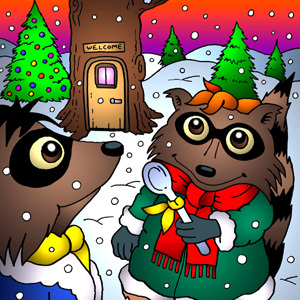 Hear me read "Follow the Star" by Shari Lyle-Soffe about two raccoon brothers that rely on their faith to see them through difficult, and sometimes dangerous, times in this month's edition of Guardian Angel Kids, the online interactive ezine from Guardian Angel Publishing. I didn't know you did voice overs. How cool! Thank you so much, Mayra! Happy New Year! Do you have a project needing a voice? Email Donna for information and quote. 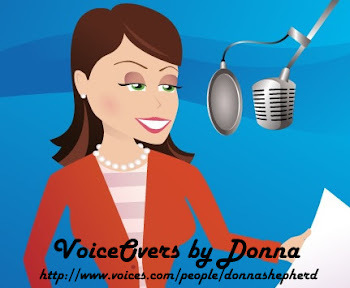 Donna Shepherd has a great voice for many audio applications from narration for entertainment pieces to commercial markets. I highly recommend her, and have used her services myself. - Kevin Collier, Children's book author/illustrator and writer/illustrator for TCT Network Television's TCT Kids projects. Yes, I am a blogaholic. The Night Before Christmas - I love these lyrics that so beautifully capture the beauty of the Holy Birth of our Savior, Jesus Christ. Be blessed and Merry CHRISTmas.